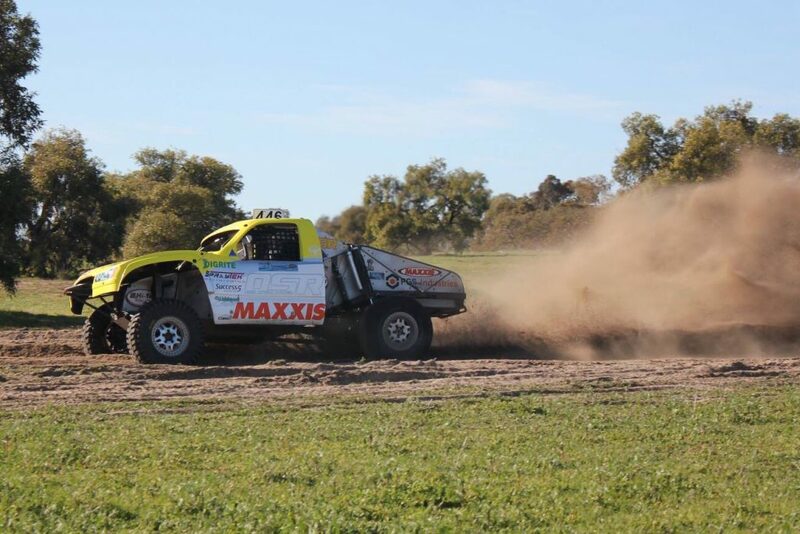 Darren Agrela and Ryan Barton have battled through the incredibly tough Cochrane’s Transport Mid West Challenge to take out the fourth round of the 2018 CAMS Carnarvon Motel Western Australian Off Road Championship. Conditions at the hills of the Eganu Shire were brutal as only 24 of the starting 44 teams managed to finish the first section, with Agrela and Barton proving that consistency is key in these events. Starting from third in prologue, the #39 Jimco made up ground early passing second placed Harleigh Uren in the opening two laps, before charging towards the leaders in Nathaniel Edwards and Luke McLean. The next day, Edwards’ brilliant start to build on his section one 18-second lead over Agrela was cut short when the event’s reigning champion rolled his buggy which then caught fire. While no one was injured, the accident put the champions out of contention allowing Agrela to push his way forward, comfortably holding the lead for the remainder of the race and posting the only outright time under three hours. Despite Edwards managing to get back onto the track for section three and posting the section’s third fastest time, the unfortunate DNF in section two put him out of the race. After sustaining engine issues in section one and dropping back to fourth, Harleigh Uren’s good driving was also rewarded, as the #446 trophy truck overtook then-second placed Shane Elphinstone due to fuel issues forcing Elphinstone to pull out of section two. Uren backed up his strong form with another great drive in the final section before breaking an axel on the final lap, however he was able to limp home after building a big enough gap over Mark Jarrett and Glen Humpries who eventually secured third place, despite pushing hard late in their #168 buggy. 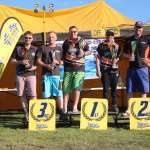 Finishing in fourth outright was Colin and Peter Doney, while Chris Unstead and Nick Scolaro rounded out the top five, also claiming the SXS Turbo class. In other classes, Mitchell Davies and Owen Davies convincingly sealed the Extreme 4WD class after finishing ninth outright, Daniel and Alf Allen took out the Super 1650 class, Travis Epis and Blake Pugh the Production 4WD class, Mathew and Jeremy Beck the Performance 2WD class and Peter Barrett and Craig Rengel won the SportsLite class. 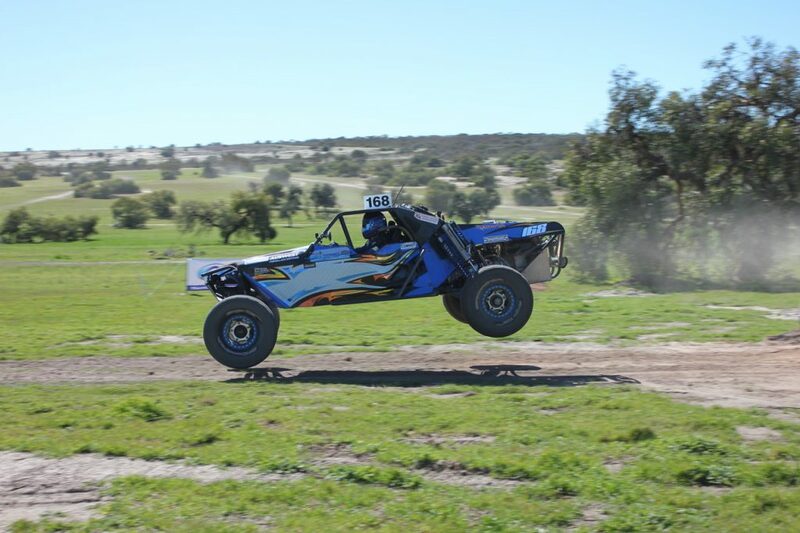 The top three finishers also took out their respective classes with Argela and Barton claiming the Probuggy class, Uren the Extreme 2WD class and Jarrett and Humpries taking out the Prolite class. 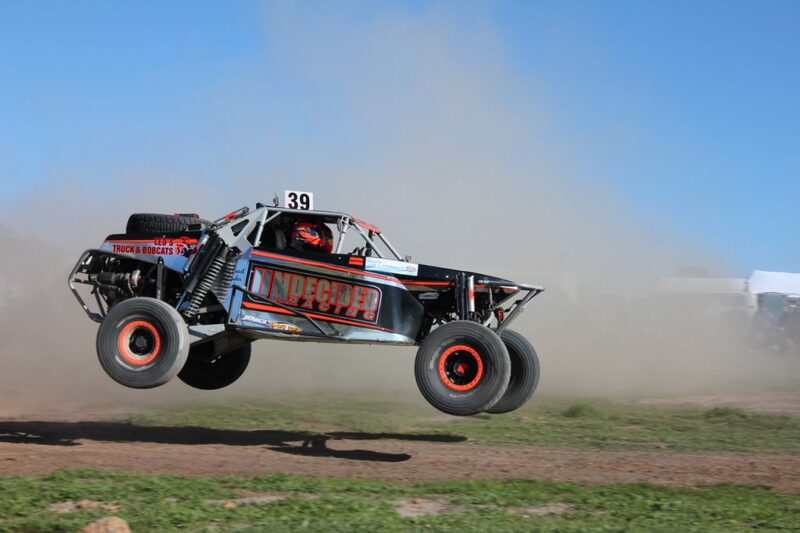 The next round of the 2018 CAMS Carnarvon Motel Western Australian Off Road Championship takes place in Three Springs on 22-23 September.